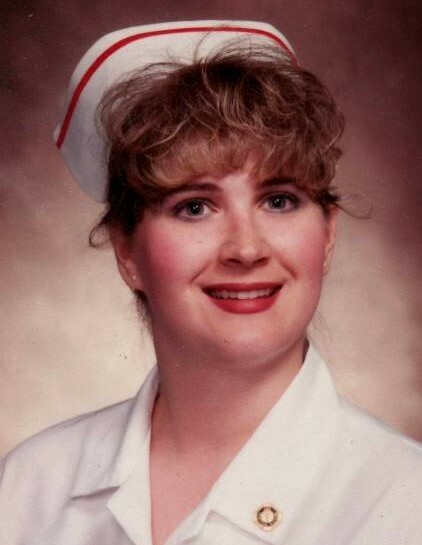 Julia Lynette Smith, age 48, of Kendallville, died Friday, February 1, 2019 at Lutheran Life Village in Kendallville. Julia was born in Fort Wayne, Indiana on March 24, 1970 to Michael D. Reed and Inez (Gillespie) Reed. She graduated from Lakeland High School in the spring of 1988 and married Craig Lynn Smith on August 7, 1988 at the First United Methodist Church in LaGrange, Indiana. Julia was a Licensed Practical Nurse and employed with Fort Wayne Orthopedics, Fort Wayne Neurology, and Parkview Physicians Group. She was a member of Fairview Missionary Church in Angola and she loved animals and painting with water colors. Husband, Craig Smith of Kendallville. Daughter, Cal Smith of Madison, Wisconsin. Daughter, Jenna and Anthony Frisby of Montpelier, Ohio. Five grandchildren: Easton, Lauren, Haylie, Amaya, and Alan Frisby. Mother, Inez Reed of LaGrange. Sister, Tisha Reed of Mishawaka. Sister, Carrie Reed of LaGrange. Mother-in-law, Shirley Smith of Kendallville. Brother-in-law and sister-in-law, Gary and Pat Smith of Kendallville. Nephews, Nick Smith of Brooklyn, New York and Pastor Eric and Joanna Smith of Shipshewana. She was preceded in death by her father, Michael Reed in 2003; father-in-law, Bernard Smith in 2005; nephew, Matthew Smith in 2012; and brother-in-law, Kevin Smith in 2015. Visitation will be held Wednesday, February 6, 2019 from 3:00 -7:00 PM at Hite Funeral Home in Kendallville. Funeral services will be held Thursday, February 7, 2019 at 11:00 AM at Hite Funeral Home with Pastor Norman Fuller officiating. Burial will take place at Lake View Cemetery in Kendallville. Memorial donations may be made to the National Multiple Sclerosis Society or Noble County Humane Society.